Keep your service history up to date on your Volkswagen and Mazda without the hassle of being without your car for long periods of time. Happy clients already using the benefits of a fully mobile mechanical service have offered over 19 from the North Melbourne region. Take advange of the 21 Lube Mobile has in your area. Kept informed at all times. A job well done. Let us come to you. The easiest and most convenient way to ensure that you keep your service history up to date and on top of your car repairs is to have everything you need done at home, the office or wherever else you happen to be. 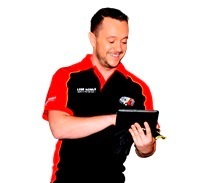 Our mobile mechanics are attending Lalor, Greenvale, Doreen and Mill Park. We are everywhere and everywhen you need us to be. 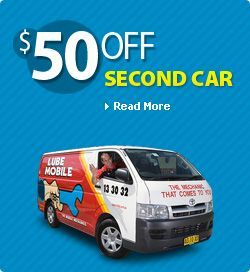 Lubemobile is Australia’s #1 fleet of mechanics servicing and repairing vehicles all over the country with over 887 vehicles attended to in your local area alone over the last 3 months. Regular vehicle services and jobs around your area have included Log book servicing. Our specialists have what they need to complete a full service and repair at your chosen destination including tyre replacement and specialty tyre related repairs, flywheel inspections and replacing leaking and worn shock absorbers. Repair: Replace thermostat which is in the back of the motor. The very definition of a mobile mechanic is a vehicle specialist who can do what you need, where you need it done. Our mechanics complete full car services at your preferred location with recent jobs completed on Holden, Toyota and Ford. Our professional mechanics are experienced and equipped for all vehicle types serviced on location. Have it all taken care of at the best place for you, not your mechanic. Jeep, Subaru and Saab are all attended to on the spot. catalytic converter, clutch and leaf springs were with the mechanic when they needed them and quickly replaced or repaired on location.